Apple and other companies are widely rumored to be working on smart watch devices for debut later this year or in 2014, and that increased interest is set to grow the smart watch segment by a factor of ten. 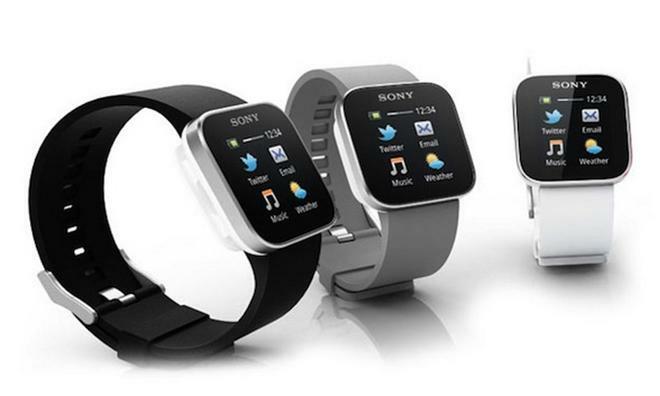 The year 2014 will see five million smart watch units shipped, according to the latest forecasts from market analysis firm Canalys. That figure would be more than 15 times the 330,000 units shipped in 2012, and 10 times the 500,000 expected to ship in 2013. Next year's crop of smart devices are expected to mark a considerable advancement over the current standard in the segment. Right now, Sony leads the industry with regard to device capabilities, but even its most recent model will likely be outstripped should the rumors surrounding forthcoming devices prove true. Currently, smart watches like Sony's - and the device made by Pebble - largely function as a means of remotely interacting with one's smartphone: displaying messages, controlling music, and so forth. The next generation, though, may leverage a battery of sensors and low-power wireless technology to not only interact with the wearer's smartphone, but also his body. Apple is widely expected to be working on an "iWatch" device some say could be revealed within the next year. The company is said to have a 100-man team working on the project, and Apple has filed for protection of the "iWatch" name in Japan, Russia, Mexico, and Taiwan. The iWatch development may not be going too easily, though, as the company is said to have brought on people to address "hard engineering problems that they've not been able to solve." Even beyond Apple, the next year or so will likely see the introduction of a wave of smart watches. Microsoft is rumored to be working on its own device, one that would complement that company's Surface devices. Reportedly, Microsoft is testing "transparent aluminum" for the body of its device. Google, too, is said to be testing an Android-powered smart watch. Likewise, chief Apple rival Samsung has already confirmed that it is looking to bring out a watch as part of its forthcoming "Gear" line of wearable electronics.